In the Edo period (1600-1867), Ouchi-juku situated at the busy Aizu West Road, used to be a prosperous lodging town for warlords and travelers who were making their ways toward Edo (now Tokyo). 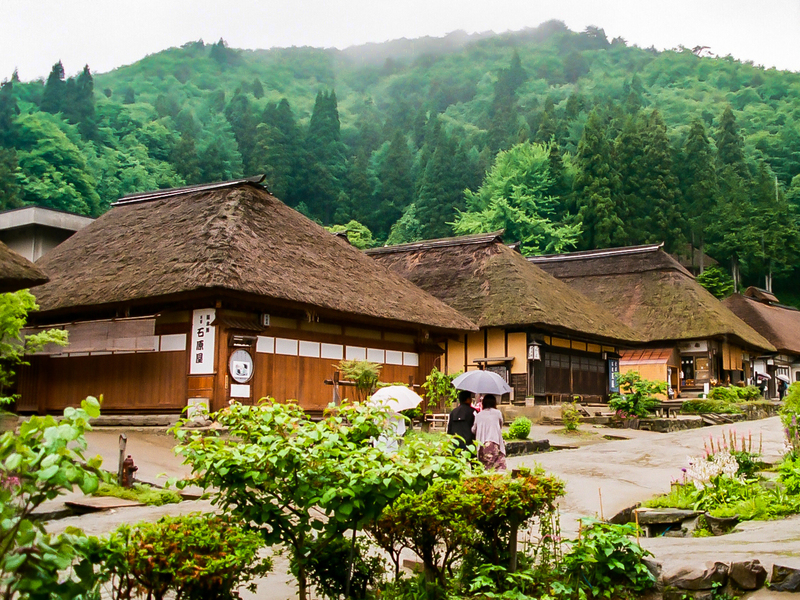 Ouchi-juku is chosen as one of Japan’s Important Traditional Building Sites. You can get a taste of the lifestyle back-then as you walk through the road lined with Japanese style houses built with thatched roofs. In addition, every February, the town holds a magical snow festival decorated by many snow lanterns. And just for the adventurous foodies, instead of using proper chopstick to eat, Ouchi-juku’s famous Japanese Soba (Buckwheat) noodles are eaten by using green onions as chopsticks instead!